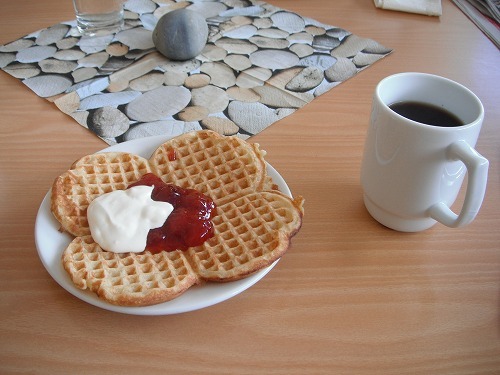 2012.08.09 フィンランドは寒い!! / It's really cold in Finland. It became really cold last night. 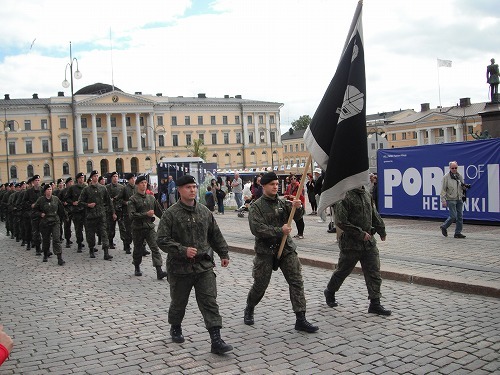 I was underestimating the night of Helsinki!! It was the mostly sunny day. It wasn't really super clear weather, but there were more blue than grey in the sky. Many people told me that this summer the weather in Europe has been really bad. Last night somehow the Internet connection went down, so I was updating the blog and making some research on the web in the morning. 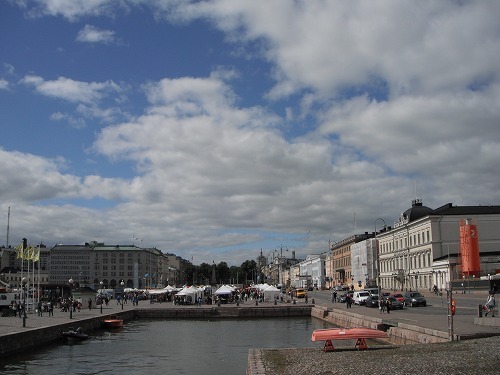 I bought a ferry ticket to Tallinn for 50 Euros, leaving 13:30 tomorrow afternoon and it would take 2 hours to get to Tallinn. .
Once I've done with the blog updating and researches, I went out to the city of Helsinki. I took a metro to centro. 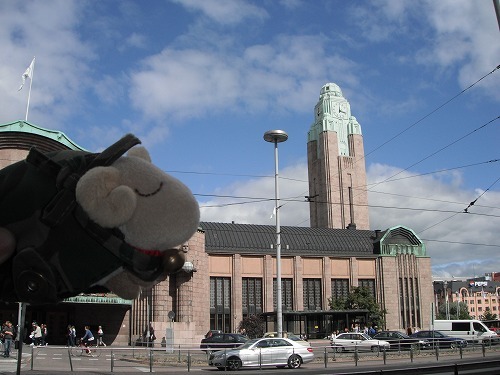 This is Central Station of Helsinki. 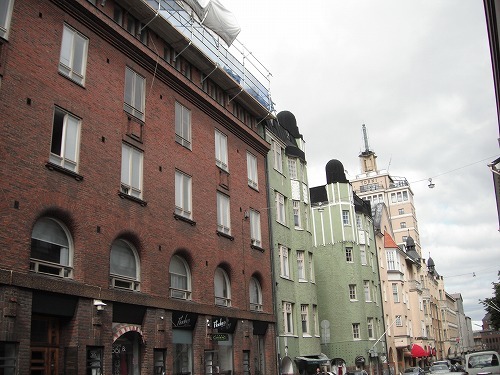 People told me, "Helsinki has many interesting architecures". Well, the tower of the station building looks different to me. I walked to the east from the station. 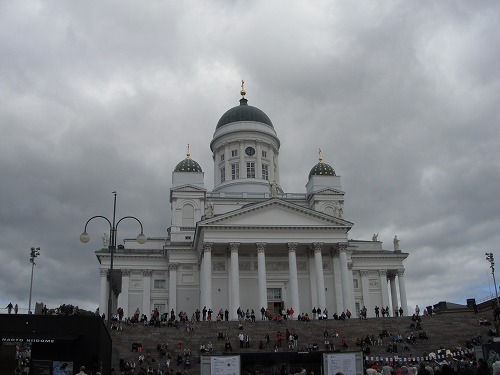 The I came to Cathedral of Helsinki. It's in white and very beautiful, I reckon. I heard a music coming from the plaza. 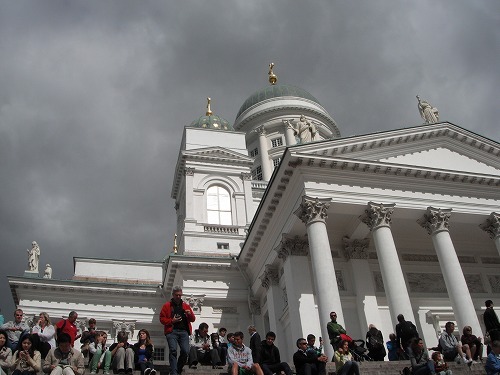 There were crowds of tourists on the stairs of Cathedral. It was a military band playing music. I did not know what the ceremoney about, but it was interesting to see and listen. From the top of the stairs, looking down the military band and troopers. 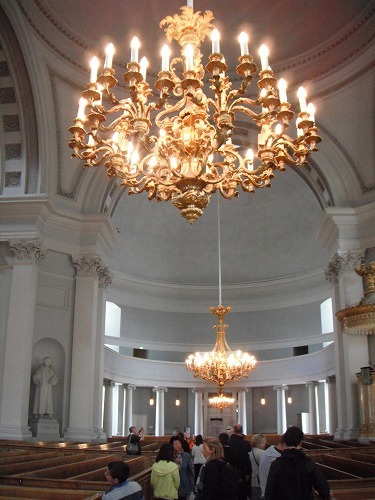 Inside Cathedral. It was in white too. It was very simple, but very beautiful. Nice. 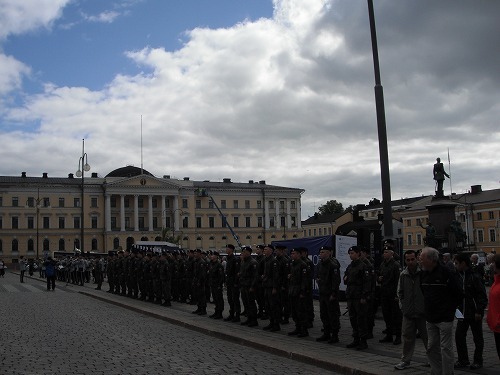 When I came down, the military started to march. The band played a marching music. Then I walked to the market place. 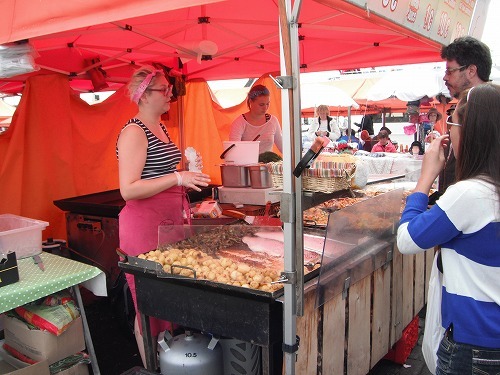 There were fresh vegies, fruits and fish sold. It was lunch time. Nice smells of good foods in the air. In this stand, big salmons were grilled. They looked really good. 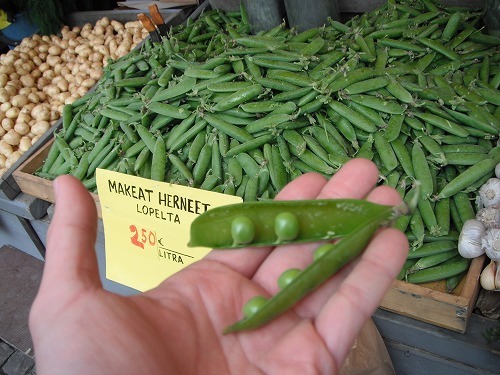 Finnish people eat fresh snow peas. A gentleman at a stand gave me one, so I tried. It was little sweet, but had raw vegie taste (of course!). It was quite good, but I prefer cooked ones. 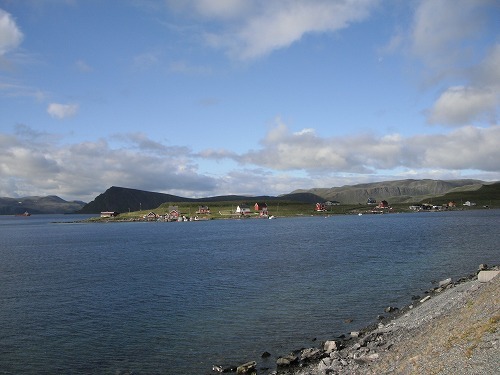 The view of harbour from the market place. 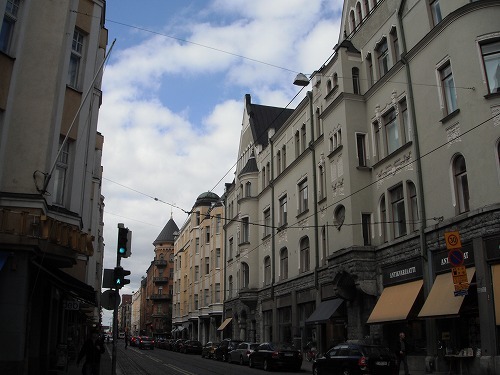 The street views of Helsinki were pretty good. 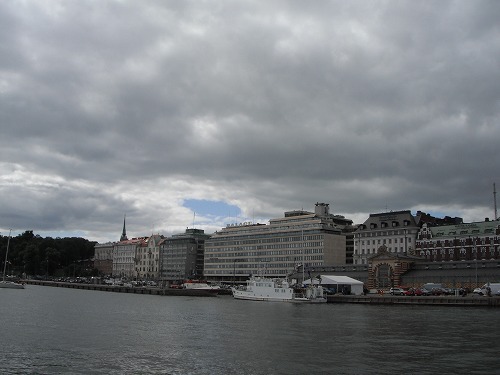 Well, there were similar scenery in Hamburg, Copenhagen, and Stockholm, as they are all harbour cities. 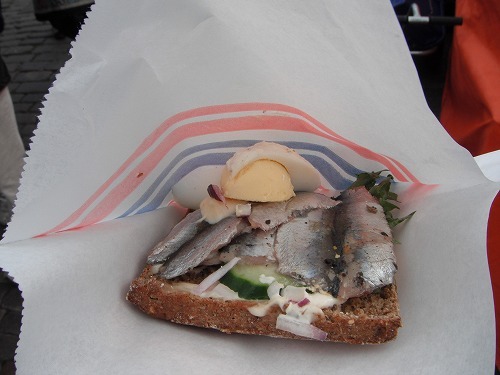 There were grilled salmon, stir fried sausages & potatos, paella etc, but I bought a fresh herring sandwich for 4 Euros. The fresh herring was't fihy at all and was very good. I bought a "meat pie" (?) for 3.50 Euros. 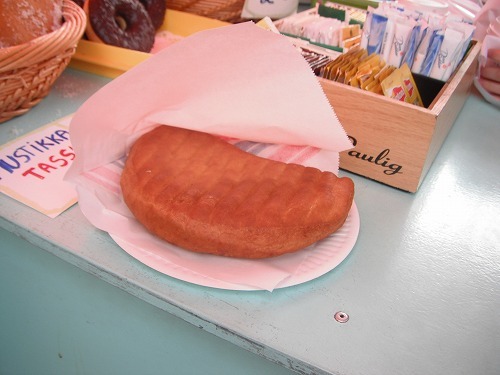 It was more like a doughnut with mince and omion in it. It wasn'T realy good at all. 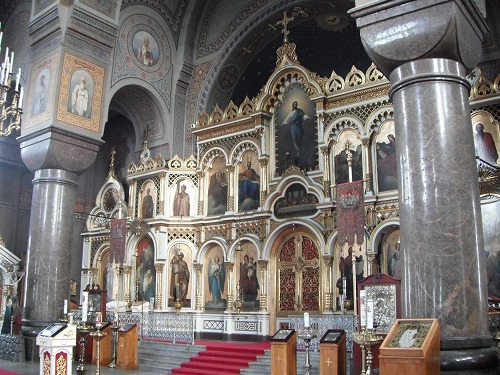 Then I bought a bag of blueberries and walked to a Russian Orhodox Chrch. 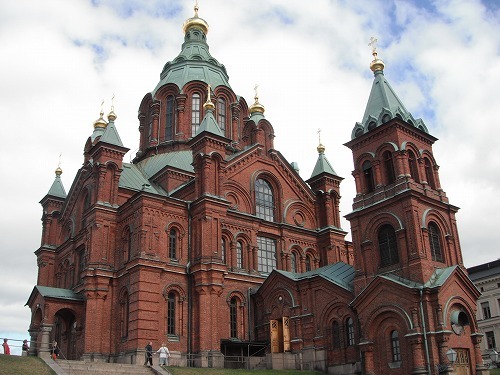 This is the largest Orthodox church in Norway, Sweden and Finland. Well, this area isn't the place where Orthodox is popular anyway. As Finlad was ruleed by Russian Empire for a while, that's why there were some Russian influences. Inside was very solmn. The taste was different from Cathoric and Protestant churches. I went back to the market place again. This cafeteria was used for a Japanese movie "Kamome Shokudo (Seagull Cafeteria)". But I haven't seen the movie, so I did not have any impression from the cafeteria...I am sorry to those funs of the movie, but honestly, it was just a cafeteria! I walked back to Central Station. The street and buildings were beautiful. 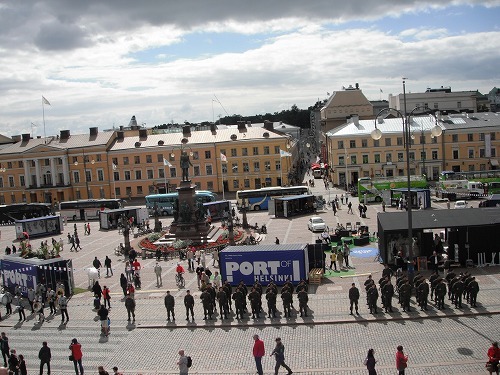 Helsinki is pretty s,mall city. There are many islands and some more places to be visited. But I went back to the campsite early. Tomorrow, I will take a ferry across Baltic Sea to Tallinn, Esonia. As Baltic States are famous for beautiful lgirls, so I am looking forwards going there!! 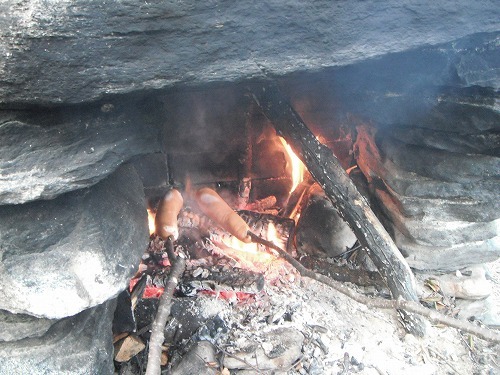 The cabin was very warm with a heater. It should have been a freezing night if I slept in the tent. It was a cloudy morning. Well, I haven't got much luck with the weather recently... I woke up at 7am and was thinking to have another 5mins sleep, then when I opened my eyesagain, it was already 7:4oam. It must be because of the warm cabin. It was too comfy. I left there before 9am. It was cloudy but it was not as cold as yesterday. 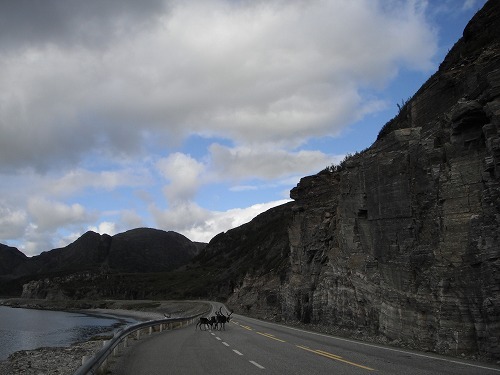 I assumed as I came down south so far and the climate had changed. I made a lunch stop at a petrolstation "ABC" in Jyvaskyla. I had a buffet lunch for 9.30 Euros! Yes, it was luxury, but even a hamburger meal cost 7.30 Euros. But I just had a plate of salad and a plate of main. After lunch, having a cuppa and surfing on the net. I update the blog. From Jyvaskyla, it was "1,000 Lakes" area. But as t was cloudy, those lakes did not look pretty at all. So I did not take any photo. 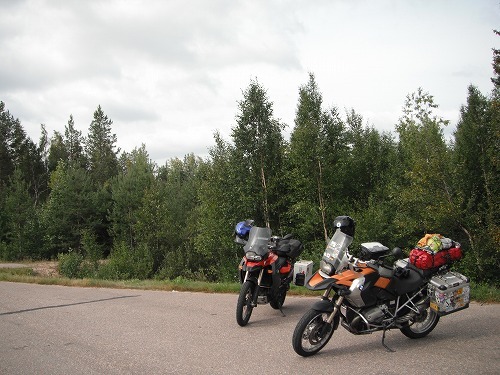 As I rode through Finland from north to south, it has been pretty flat and boring... 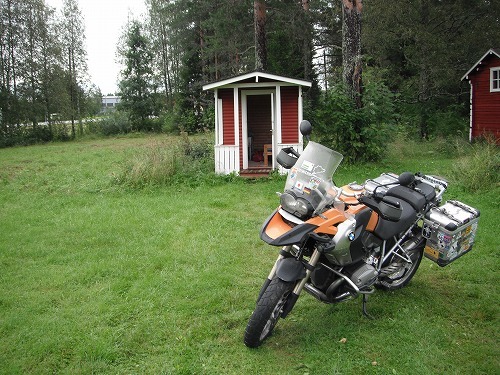 If the weather was better, I would have ridden to Karelia, where supposed to be realy beautiful with lakes. The odometer on Esperanza was reaching 80,00km son. She had an engine oil change in Oxford last time, some 8,000km ago (In Bonn, she had 70,000km service but I asked not to change the engine oil as it was just changed less than 2,000km ago). 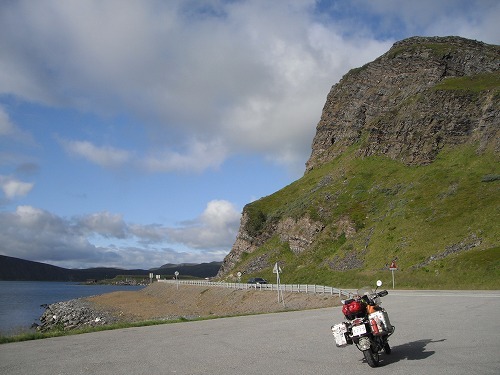 I am planning to ride through Baltic States and Poland. Themn I am not sure whether I am going to Czech, Slovakia and Hungary first or going back to Germany first. I am thinking to do 80,000km service and final check before I am leaving to Asia in Munich. SO it would be a good idea to change the engine oil here in Helsinki, so I reckoned. 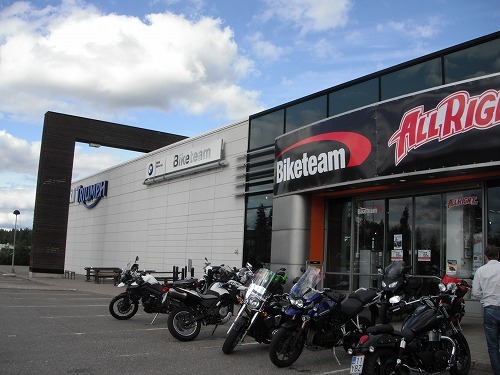 I went to BMW dealer "Biketeam". I did not make any reservation but they quickly changed the oil for me. It cost me 110 Euros (75 Euros for oil and a filter, and labour). It wasn't a cheap expense, but keeping Esperanza in the tiptop condition is my priority. I could have changed the oil by myself, but it was easier to ask the garage to do it (as I need to think about where to damp the eused oil etc). 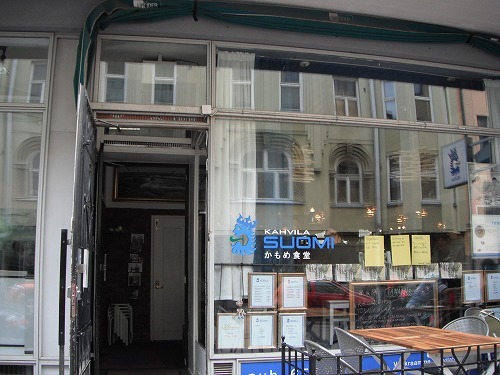 While waiting, I searched for an accomodation in Helsinki. But all hostels with parking space seemed to be booked out. 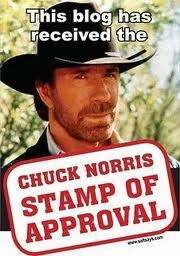 So I asked a staff if he knew a good campsite. 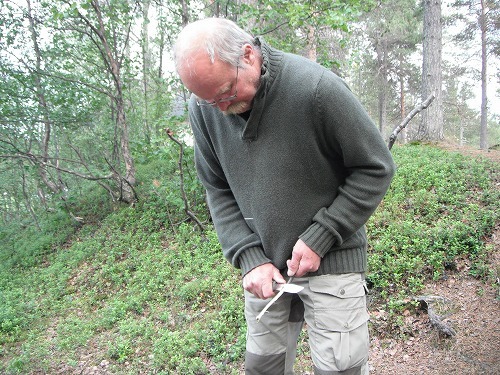 He told me to go to "Rasila" camping. 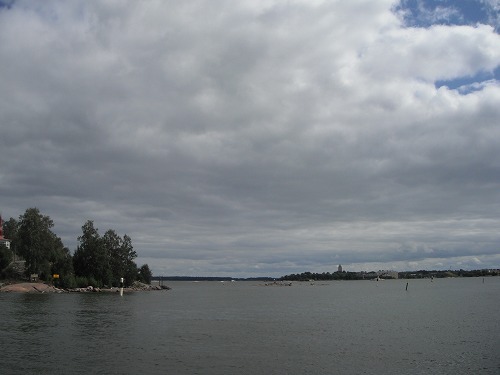 It is located in east side of Helsinki. The campsite cost 19 Euros. It was little expensive, but there were good facilities and wifi available. I would stay here for 2 nights. I washed my dirty clothes and cooked dinner. 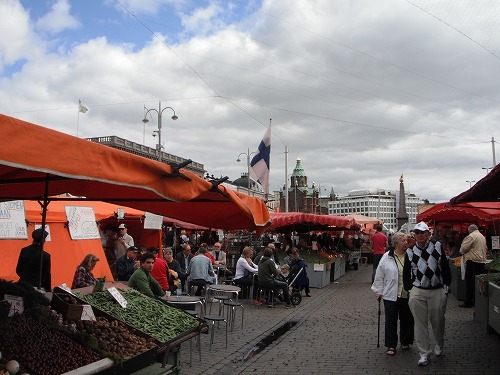 Tomorrow I wil explore the city of Helsinki. フィンランドは寒い!! / It's really cold in Finland. It was cloudy... It was really cold outside. Having breakfast and we left the cabin before 9am. 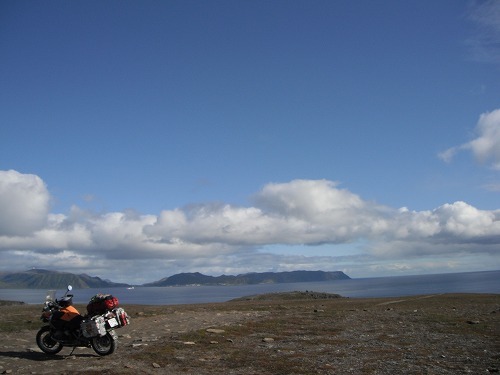 From Enontekio, we rode to the west on Route 93 through forests. 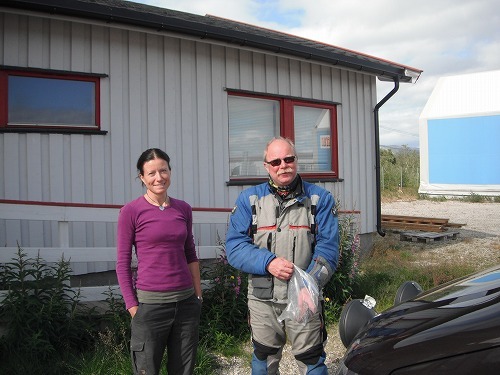 Just before the border to Sweden, the road merged to Route E8 and we rode down to south. We stopped at a rest area before Pello and had snacks. It was windy and really cold!! 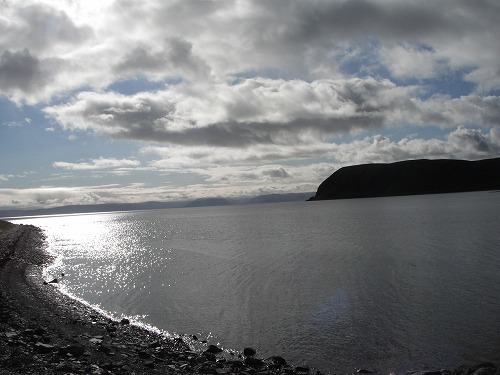 Then I had to say a good-bye to Magnus at Pello. He was going back to Sweden there. We've been together just for 3days, but it was very interesting and fun time with him. I learnt a lot from him. 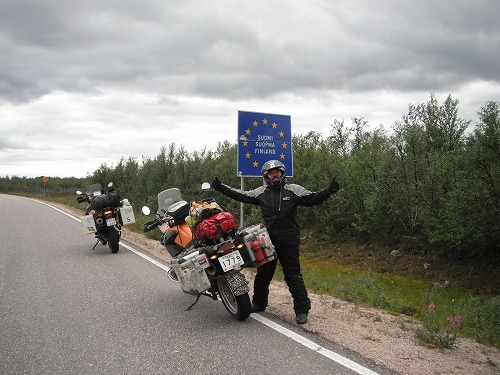 He is planning to ride hrough Iran, Central Asia, Russia and back to Monglia in 2 years time. He might come to Japan too! So we might catch up again in Japan! It would be awesome!! 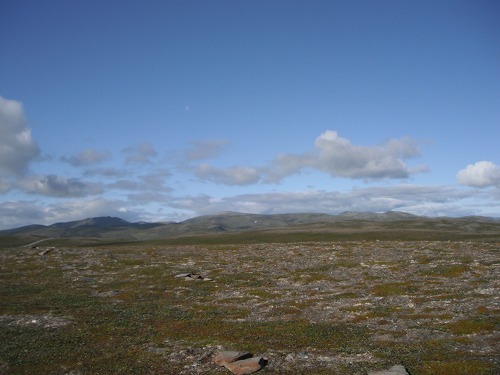 From Pello, around 30km south, I crossed Arctic Circle line (66°33.11") again. But there was no monument in FInland. There were just a gift shop and a petrol station, so actually I did not realised when I was crossing the line!! 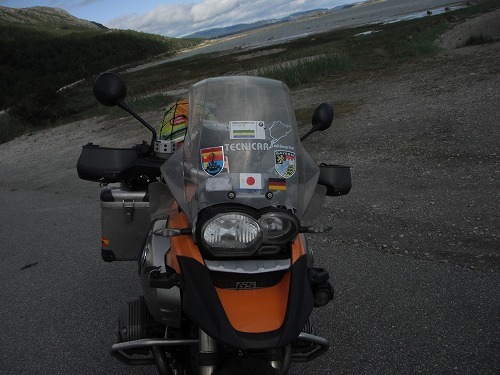 To Tornio, Route E8 was along side of a river which makes the border between Finland and Sweden. It was a very boring way. I made a fuel stop at Tornio. 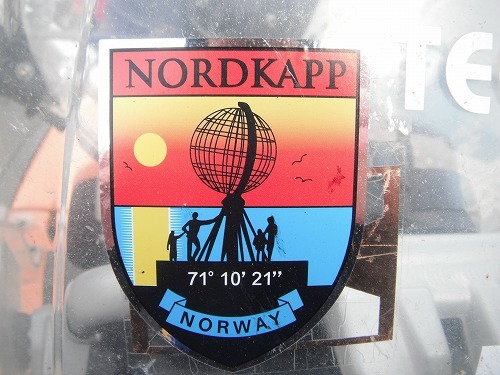 As I had 270 Swedish Krones, I asked at the petrol station where I could exchange to Euros. The girls said she could do it. Wow. I got 30.70 Euros. FInland has a very flat landscape. So there are no much twity roads either. 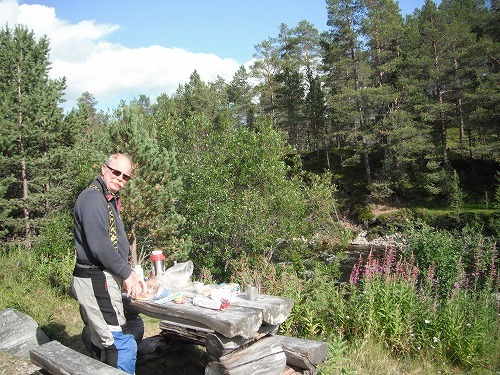 But Karelia area (south east of the country) has more than 1,000 lakes and Magnus told me it would be beautiful. 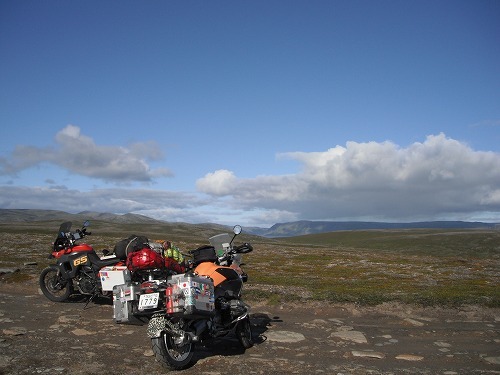 If I could ride to far east near Russian border, it would be better, but as I am heading to Helsinki, I would ride the western side of Larelia. But I would see many lakes on the way. It would be nice. Oulu is a major city in the middle of Finland. It started to rain around Oulu. I rode to southeast and entering inland. I rode 100km from Pulu and it was just after 5pm. I wasnted to go further, but it was raining and cold. I found a campsite and went to a reception. As it was raining, I would not pitch a tent, so I asked the price of a cabin. It was 20 Euros. There was no WiFi but, it was small cabin and it looked really warm inside. The lady at the reception was very friendly.We had a chat for a while. I made an instant noodle and had a sausage for dinner. After dinner, I made a cup of hot coffee. WIth hot soup and coffee, my body was warmed up. 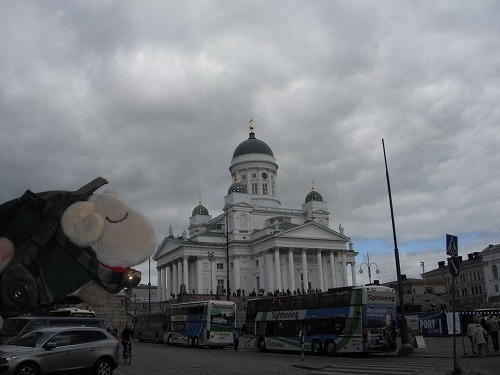 Actually I wanted to check on accommodation in Helsinki and a ferry to Tallinn, but there wasn't WiFi here. If there was a WiFi, here would be a perfect place. Oh, the toilet is not that close to the cabin, that was another down. I wish it would be a nice day tomorrow.